The consumer group reported finding top-rated items dominated by unknown brands, which in many cases had thousands of unverified reviews. Shoppers queued from early on Thursday morning to be the first to go through the 160,000 square foot space. 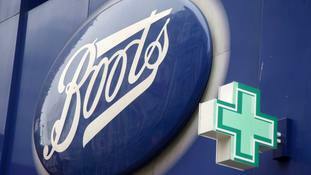 The owner of Boots has warned UK stores face closures as the group looks to slash costs amid the “most difficult” quarter in its history. Smart speakers, herbal teas and popcorn also made it on to the list of monitored items. The latest data comes despite warnings from retailers of poor trading. Asos has warned over sales and profits after experiencing a “significant deterioration” in trading in the run-up to Christmas. Experts said a lack of consumer confidence lies at the heart of a lower spend both in shops and online. Bad weather and the online shopping trend could be to blame, says an expert.